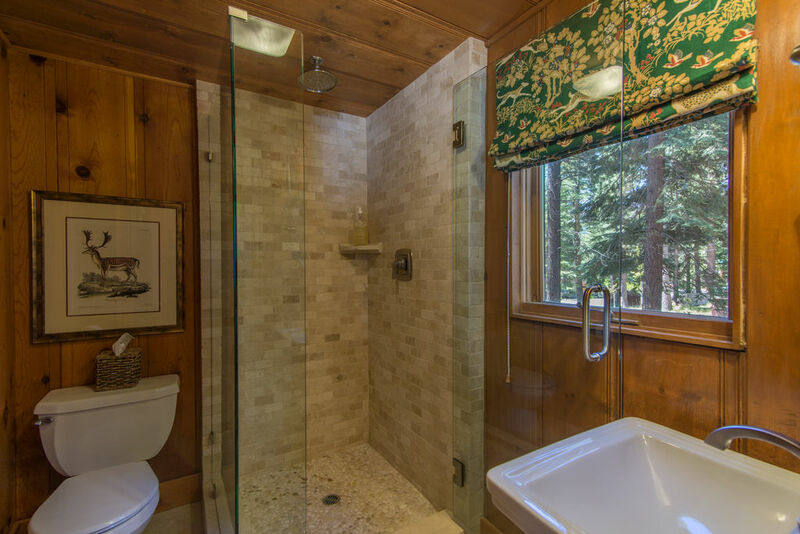 Tahoe Park Private Beach Tahoe Stone Cottage is a wonderful mix of classic Tahoe charm and modern amenities. 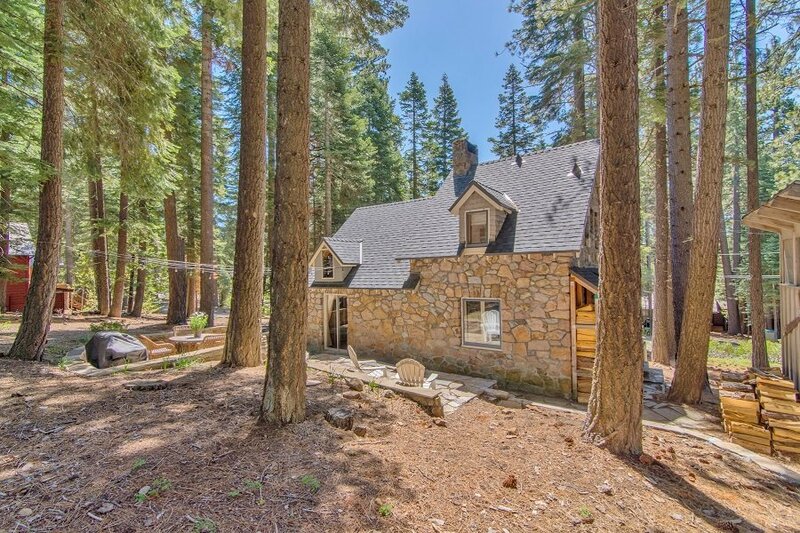 This Stone Cottage was built in 1939 with stone from Tahoe’s local Agate Bay. 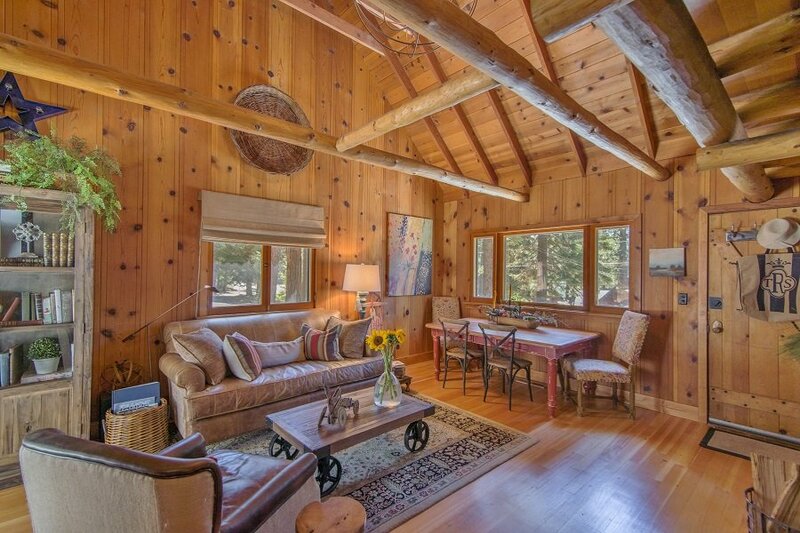 This charming cabin is conveniently located on the West Shore of Lake Tahoe. 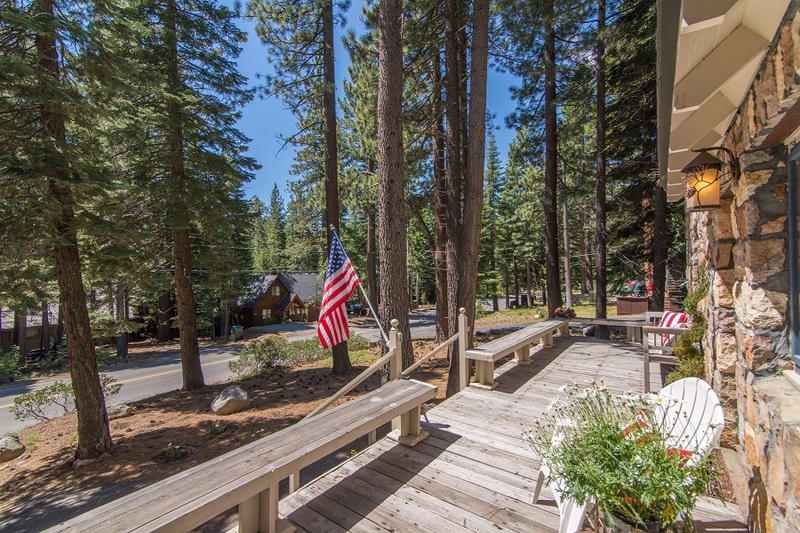 This location is only a short drive to Tahoe City where you have access to shopping, restaurants, and golfing. 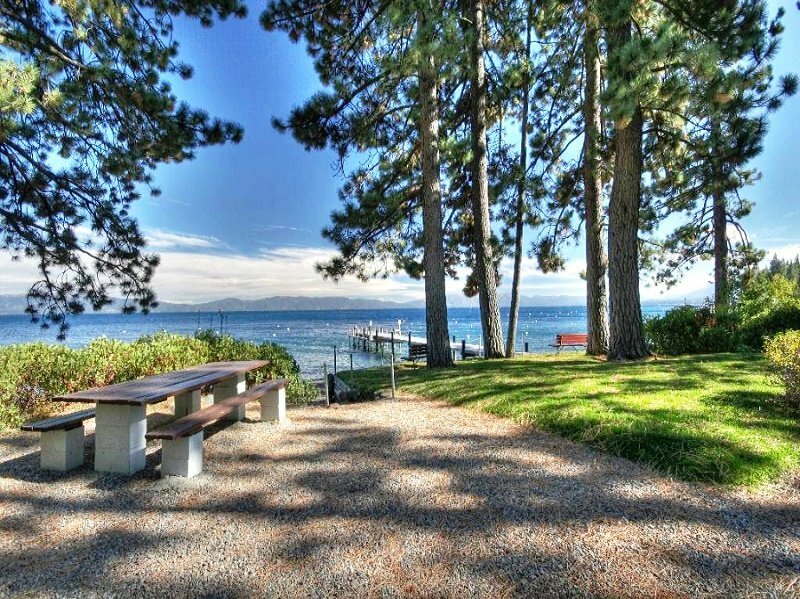 A short walk from the cottage is the lake front, where you will find a private beach (Tahoe Park-membership included), summertime activities and lakefront dining. In the winter you are only minutes away from ski resorts and miles of trails. 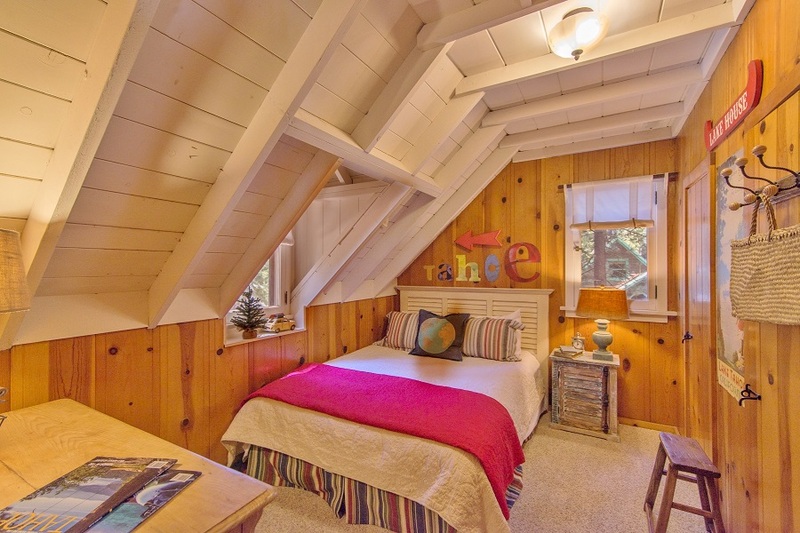 Tahoe Stone Cottage is a wonderful mix of classic Tahoe charm and modern amenities. 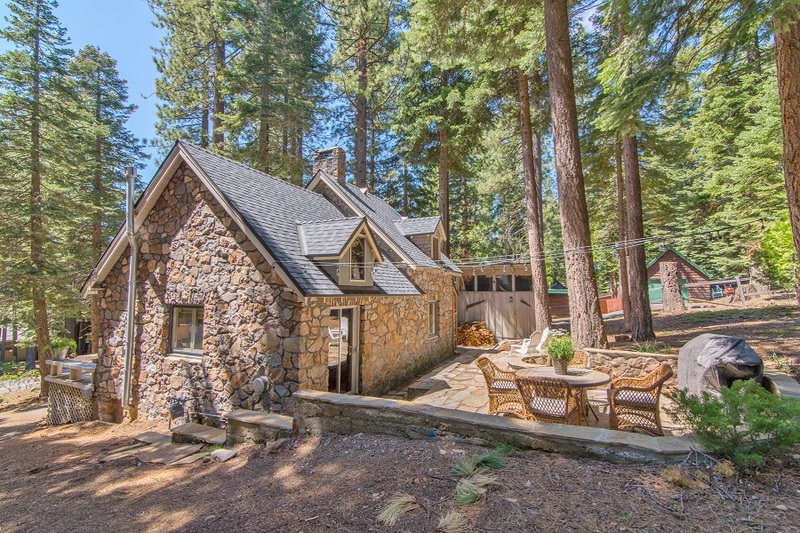 This Stone Cottage was built in 1939 with stone from Tahoe’s local Agate Bay. 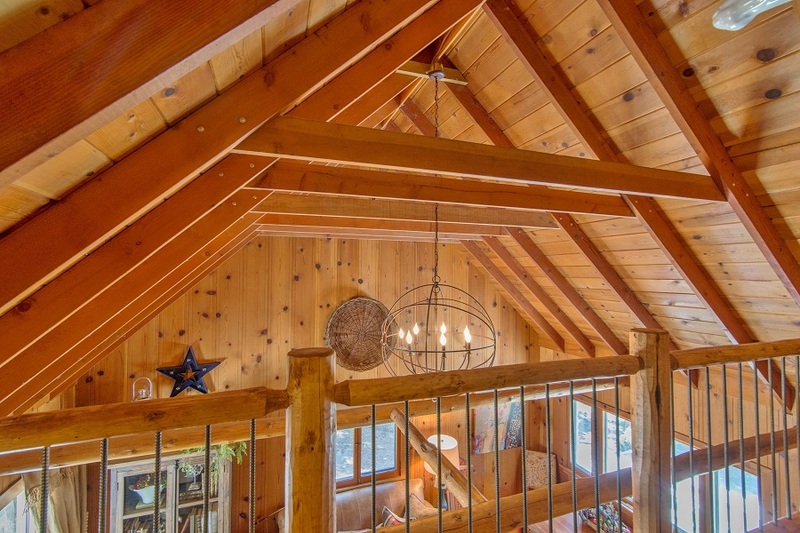 This charming cabin is conveniently located on the West Shore of Lake Tahoe. 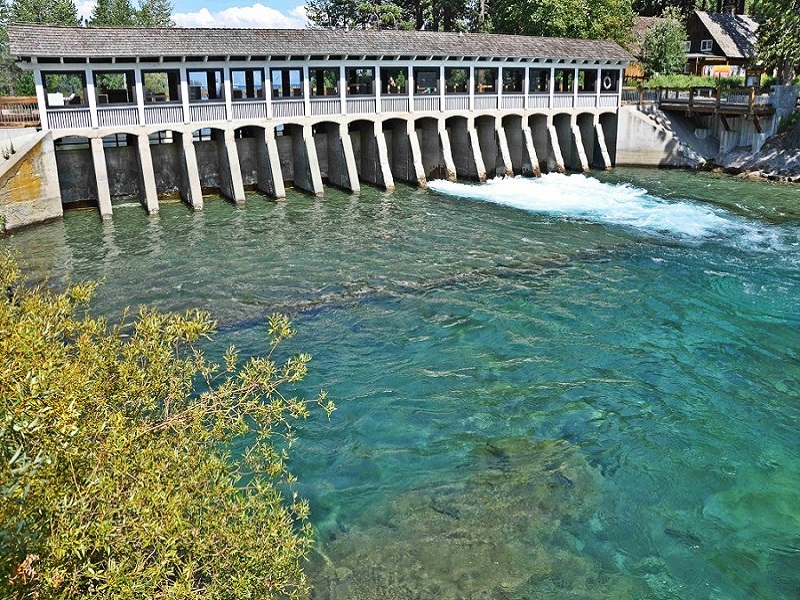 This location is only a short drive to Tahoe City where you have access to shopping, restaurants, and golfing. 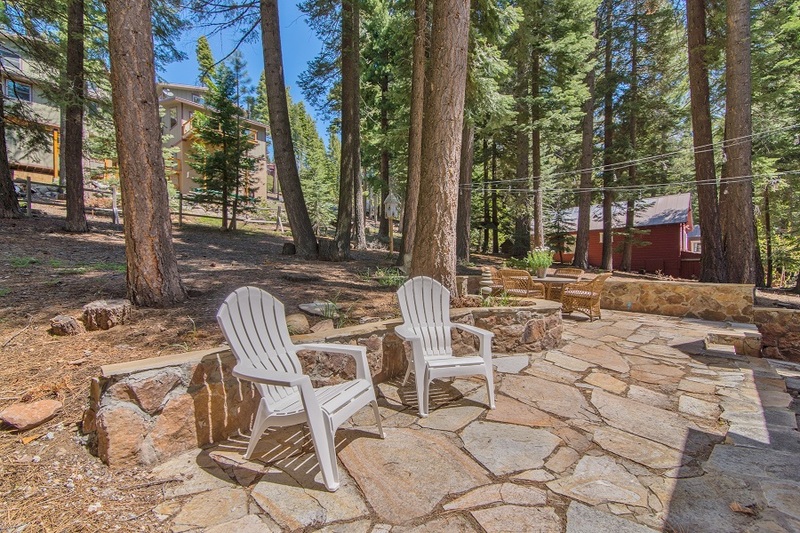 A short walk from the cottage is the lake front, where you will find a private beach (Tahoe Park-membership included), summertime activities and lakefront dining. In the winter you are only minutes away from ski resorts and miles of trails. 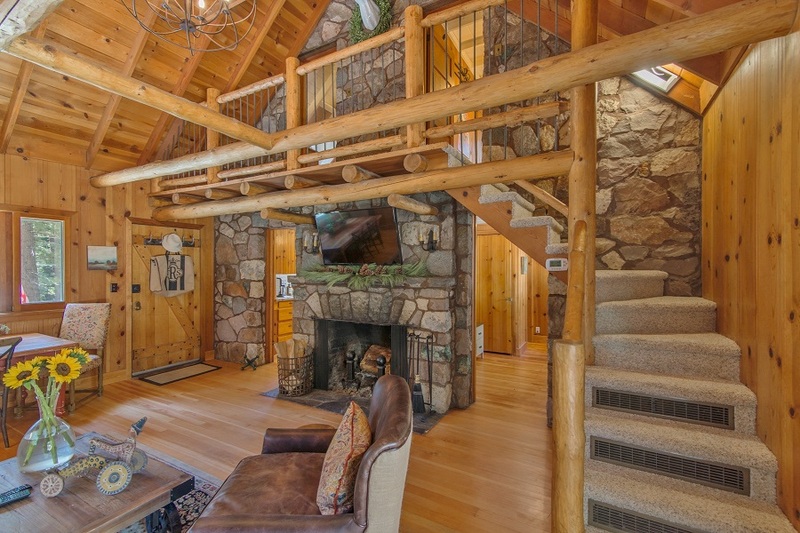 This quaint cabin has a gorgeous front stone face that comes from Lake Tahoe’s shores. The large front porch welcomes you with its Adirondack chairs-perfect for morning coffee or an evening libation. 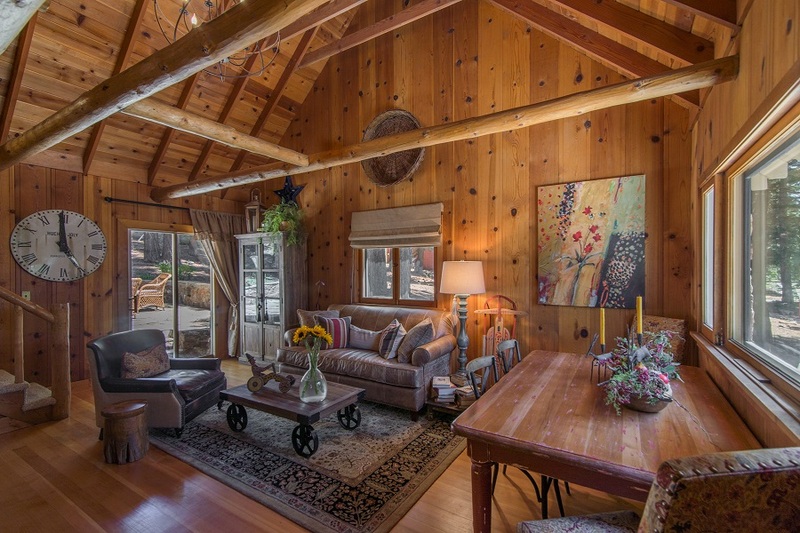 The main living space is just as welcoming with its large overstuffed couch, and a wood burning fireplace. 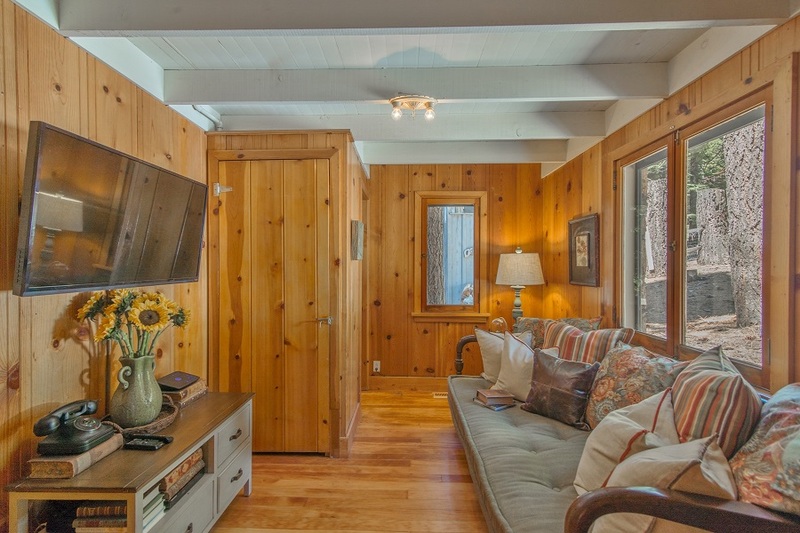 The cabin is not lacking in modern amenities, as it has large flat screen TV’s in both living spaces. 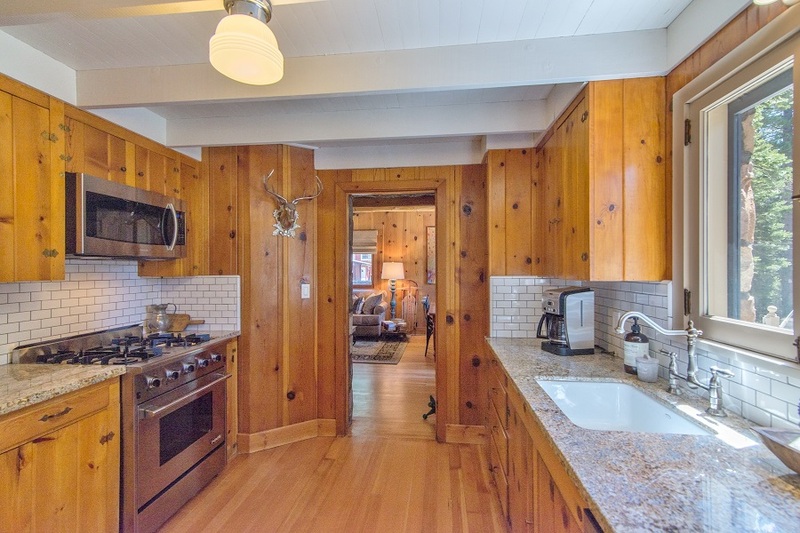 This cabin also has a beautifully remodeled kitchen that is fully equipped to prepare any variety of meals. Off of the kitchen, there is a dining area that can seat up to six. 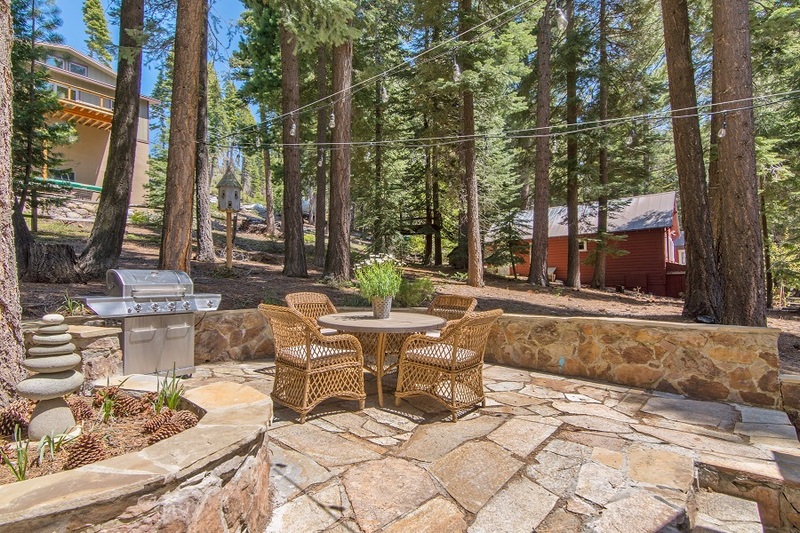 If you are feeling that you want to take advantage of the Tahoe outdoors, the cabin has an ideal stone patio with a dining table and outdoor string lights to add to the ambiance. If cooking inside is not appealing, you can take advantage of the new gas BBQ on the patio. Next, to the main living area, there is a den that is perfect for getting some quiet time. Off of the den is the main bathroom that was tastefully remodeled in 2014. The upstairs has two bedrooms comparable to one another. They both have queen size beds and high-end linens. 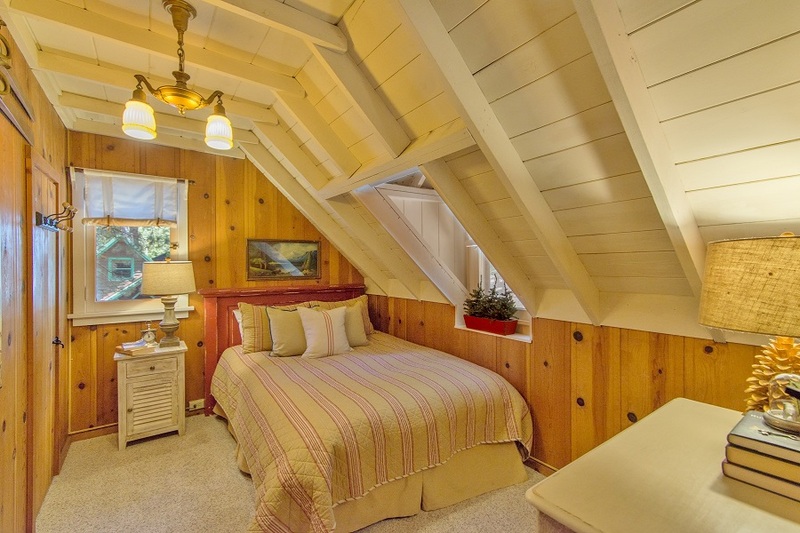 The bedrooms also have the convenience of sharing a half bathroom that separates the two rooms. 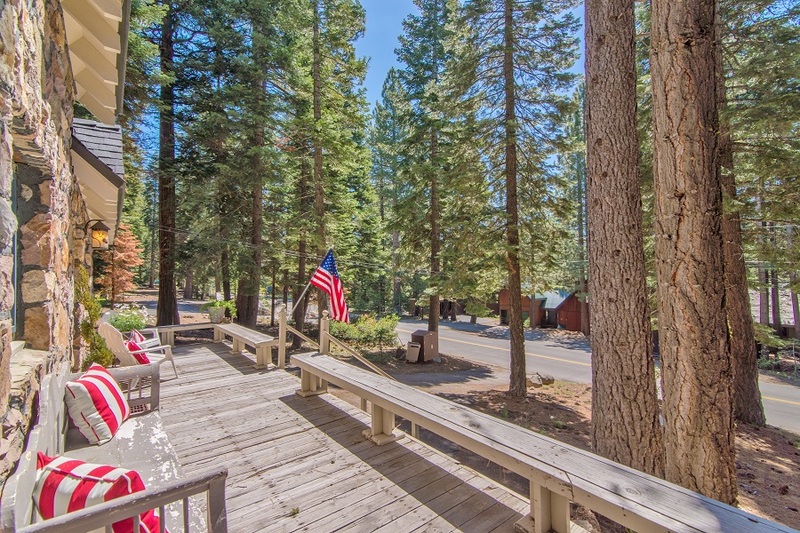 The location of this cottage is convenient for amenities and all things Tahoe. From the cottage, you can walk to the quaint and newly remodeled Sunnyside Market, where you can get groceries for your stay, or enjoy items from their specialty deli for your day of skiing or adventures on the lake. 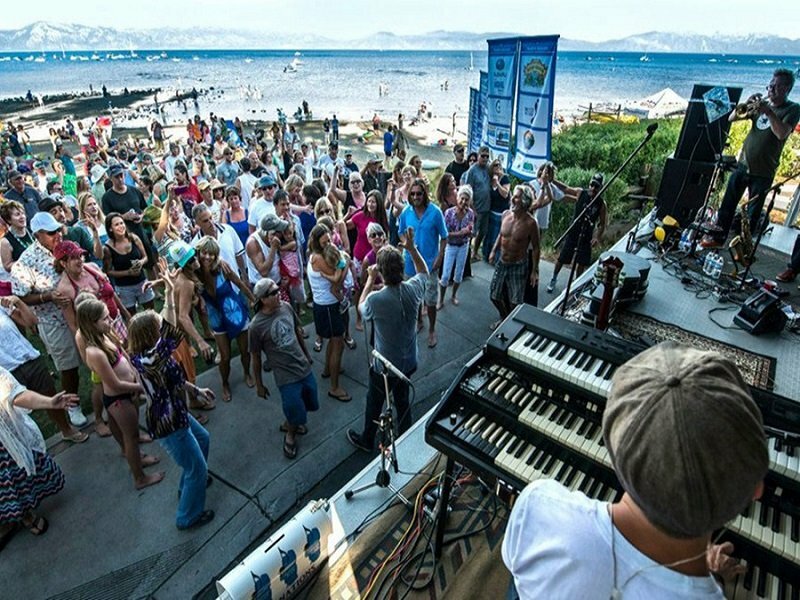 Directly across the street from the market, you will find Firesign Café, one of Tahoe’s best breakfast spots, or next door to the market you can enjoy some lakeside dining at Sunnyside Restaurant. This is a prime location for enjoying the beach activities in the summer and conveniently located by the Sunnyside Marina where you have access to watersport rentals. During the winter months, you have the family-friendly Homewood Mountain Resort down the street and the renowned Alpine Meadows and Squaw Valley are just a short drive. For those who like the winter, but are not downhill enthusiasts, the West Shore has access to miles of snowshoeing and cross-country skiing in Blackwood Canyon and Sugar Pine Point State Parks. The West Shore is a conveniently central location for trips to Truckee, Incline Village, and weather permitting-access to the South Shore and stunning Emerald Bay. 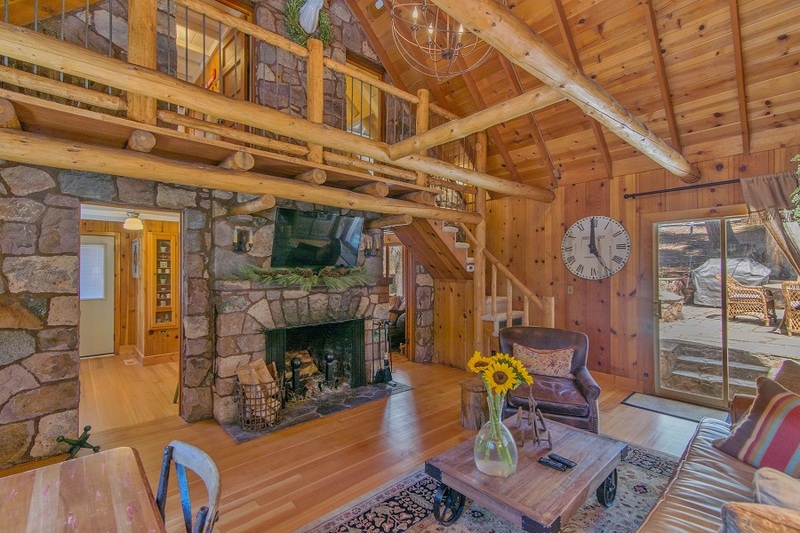 This cabin far exceeded our expectations! 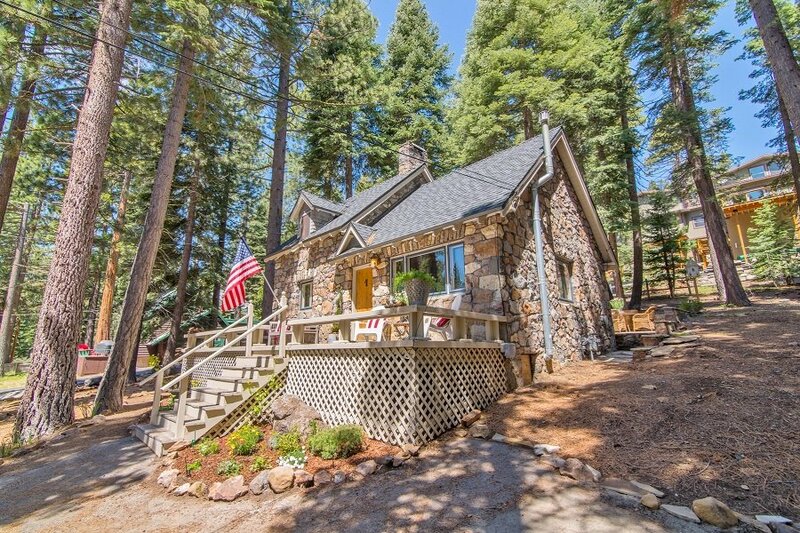 We absolutely enjoyed our relaxing stay at the Tahoe Stone Cottage. 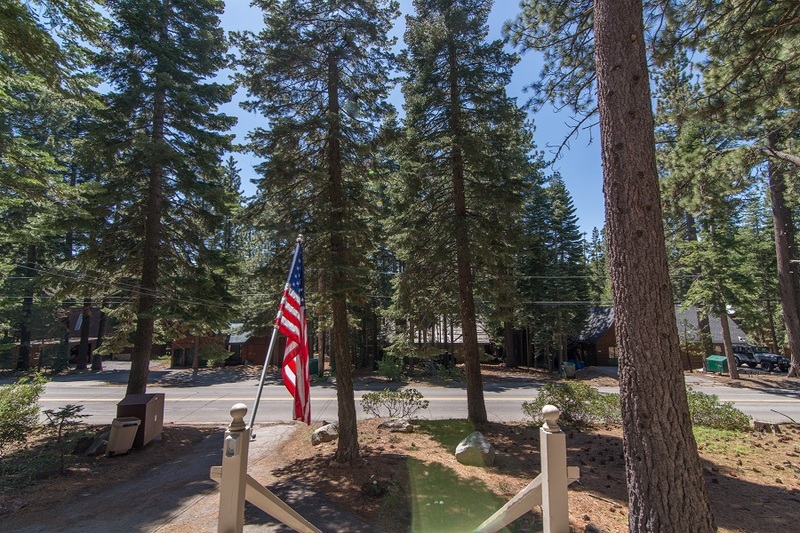 The location is great (not far from Tahoe City), the cottage is cozy, very clean, and nicely stocked and decorated, and the use of the beautiful HOA lakeside park was a plus (although it took us a while to find it). As each day passed, we became more and more comfortable with the cottage and wish now that we'd reserved it for more days. We will recommend the cottage to friends and would stay here again if our travels lead us back to Lake Tahoe. 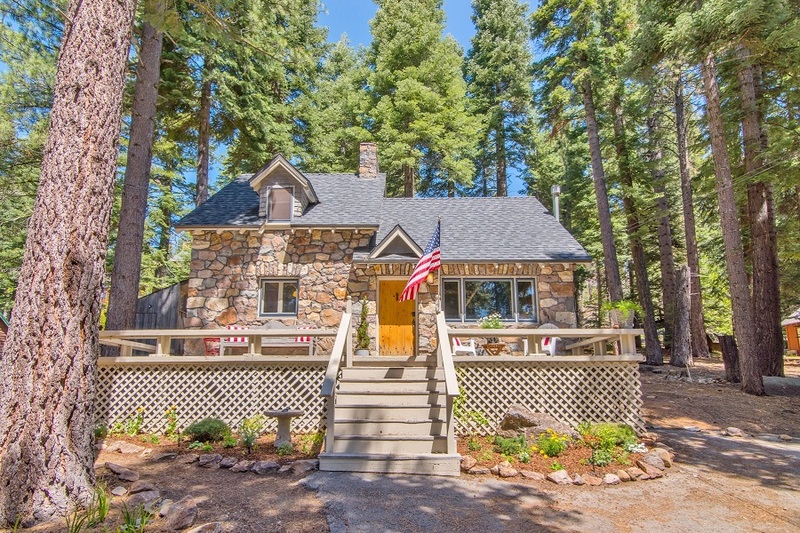 The Tahoe Stone cottage is so cute! It definitely has the stone cabin charm that is so hard to find. We had a great time during a long weekend vacation and the 4 of us were quite comfortable using the upstairs bedrooms. 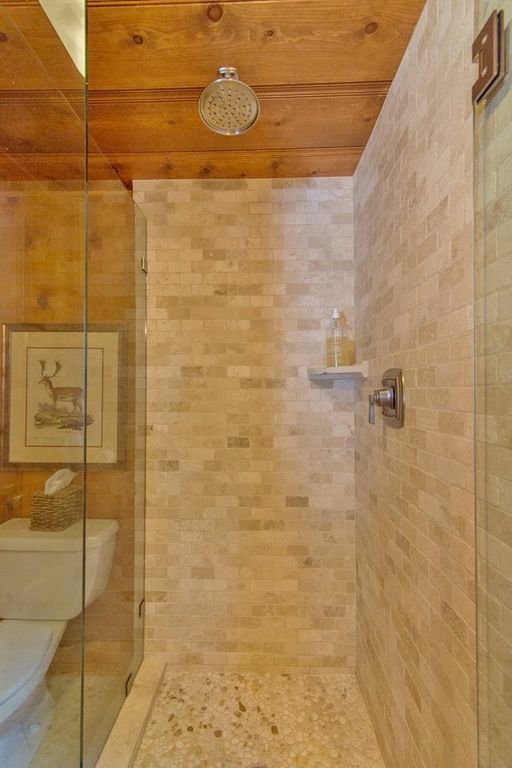 The downstairs bathroom is accessible through the den. The 1st floor living area is comfortable and beautifully decorated. 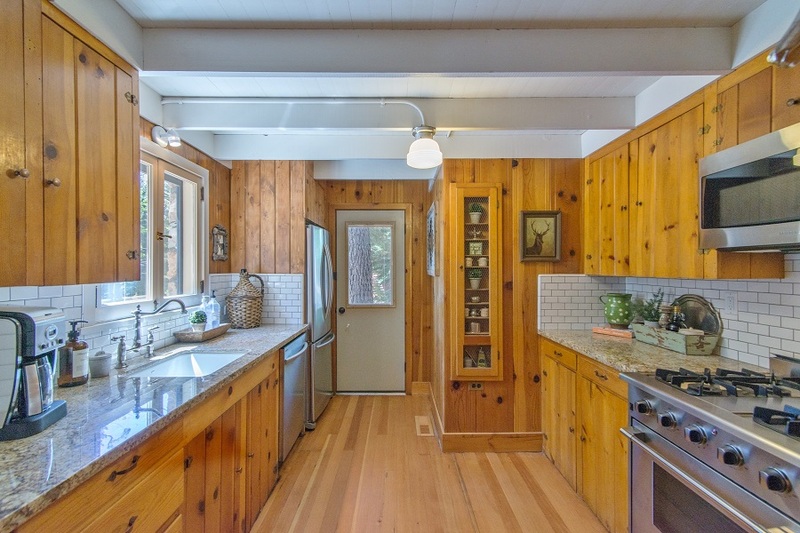 On one end of the living area is the kitchen, which faces the front of the cottage and is updated with granite counter tops and stainless steel appliances. On the other end of the living area you have access to the stone patio and BBQ, which is terrific. 2 Flat screen TV's with Netflix are a nice feature. There is no garage for cars – but you can park in the driveway – which is sloped, but workable. 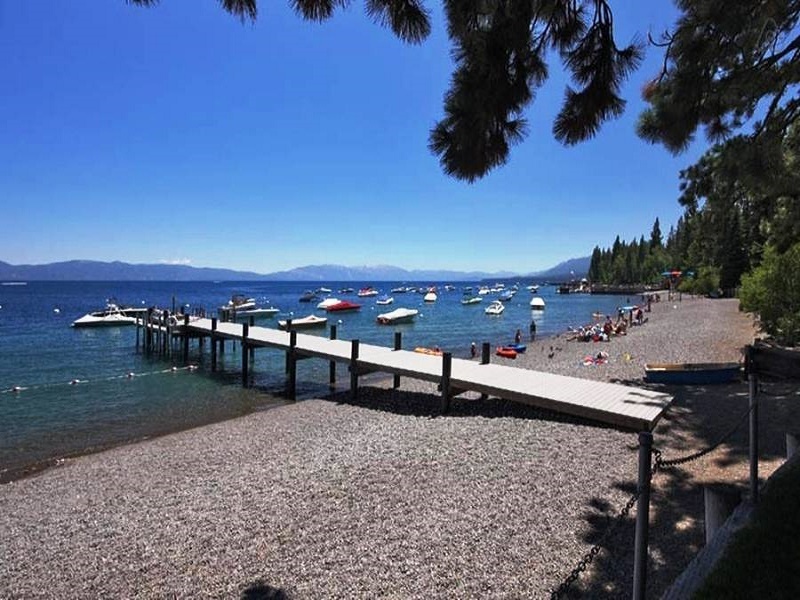 A feature we really enjoyed was included access and walking distance to Tahoe Park Beach, a private gated beach area with volleyball courts, BBQs, picnic tables and restrooms.